There is the inkling of Autumn emerging in the air here in London, the feeling of the wheel of the year about to turn. Opening the door to change enables us to flow freely and I've been loving listening to Gill Manly's stunning version ofEverything Must Change to help me roll with the changes. Our voice is an immensely powerful instrument which, when used with awareness, can change our world. Welcoming our voice enables us to speak, present, sing and communicate with confidence, joy and vibrancy. We can also then empower, inspire and encourage others around us to find their voice - competition transforms to celebration when we remember that everyone's voice is more unique than their finger print! I'm looking forward to an exciting new term of choirs as I know that through the process of singing together we are all liberated in very unique ways. One of the things I love about choirs is how, through the harmonising of unique voices, we create something bigger than all of us. Around the world this September, people will be raising their voices for #WorldPeaceDay - and we'll be celebrating locally with a Peace Parade at Crystal Palace Food Market. I'm also thrilled to be taking part in Croydon Composers again this year- a project which brings composers across varied cultural and genres to create new music together. It's thrilling to see what happens when musical worlds collide and I can't wait to see what comes out of the musical pot this year. And poured its treasure out upon the leaves. It takes just one falling leaf, a smudge of red, to light up a dull grey pavement. Deep within us is a part of us that longs to pour out our treasure - our unspoken words, unwritten books or unsung songs - to share who we really are with the world. It can feel so huge and overwhelming, like an unscalable mountain - yet every book is written a word at a time. I loved thisblog on marginal gains by James Clear which reminds us that just a 1% improvement can start a whole chain of positive change in our lives. 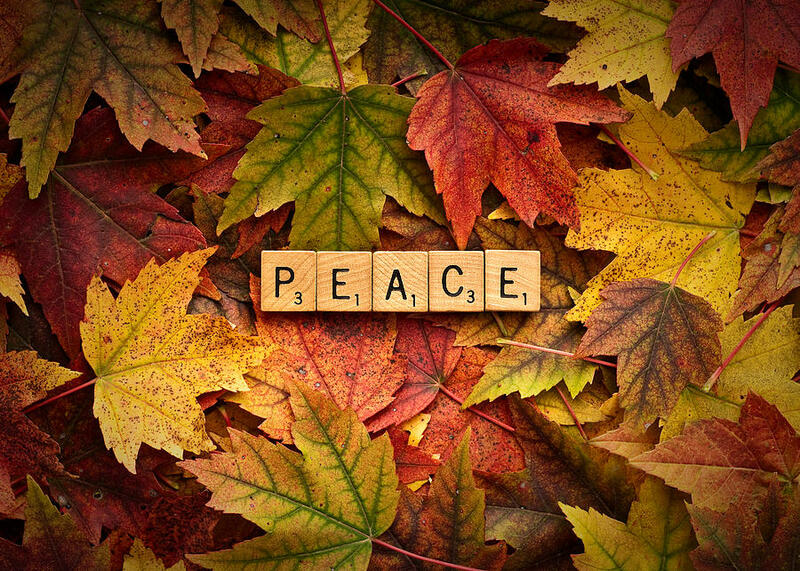 As the seasons change, we can align to our True North with daily actions which share and grow the real treasures of love, joy, peace and fulfilment in life.